The SCORPION® 2 LITE Temperature Data Logger is intended for the customer who wants to measure temperature only. Designed as a low-cost alternative to the full featured SCORPION® 2 Data Logger, it is compatible with a limited number of temperature measurement devices, i.e. 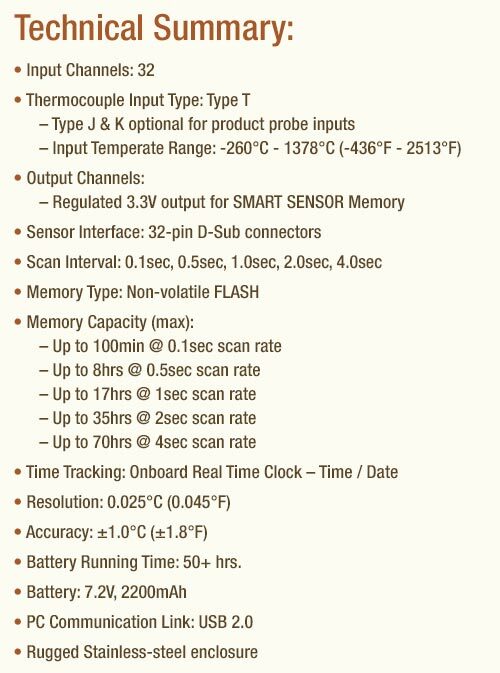 Temperature Interface and Product Probe Interface. These Interface Devices serve as the connection point for Product Probes and Bare Wire Thermocouples. The Temperature Interface also serves as the mounting point for Magnetic Temperature Sensor Arrays. The SCORPION® 2 LITE Data Logger functions exactly like the SCORPION® 2 Data Logger when connected to these devices. All connections, charging, user interface and software are identical to the SCORPION® 2 Data Logger. 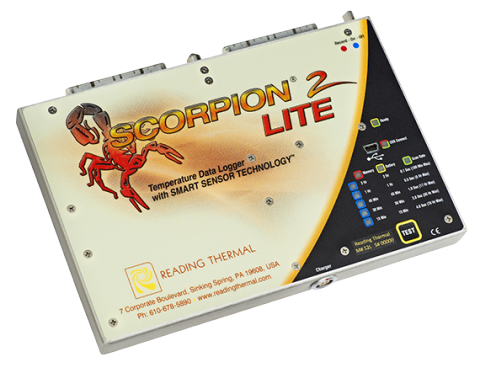 The SCORPION® 2 LITE Temperature Data Logger contains an onboard User Interface which enables data collection without the need of a computer on the factory floor. Immediately upon connecting a Smart Sensor, a communication link is established between the data logger and sensor and a self-test is initiated. The result of this test is indicated by a Ready Light, allowing the user to confidently proceed with data collection knowing that all data logger and sensor parameters are within operational limits. 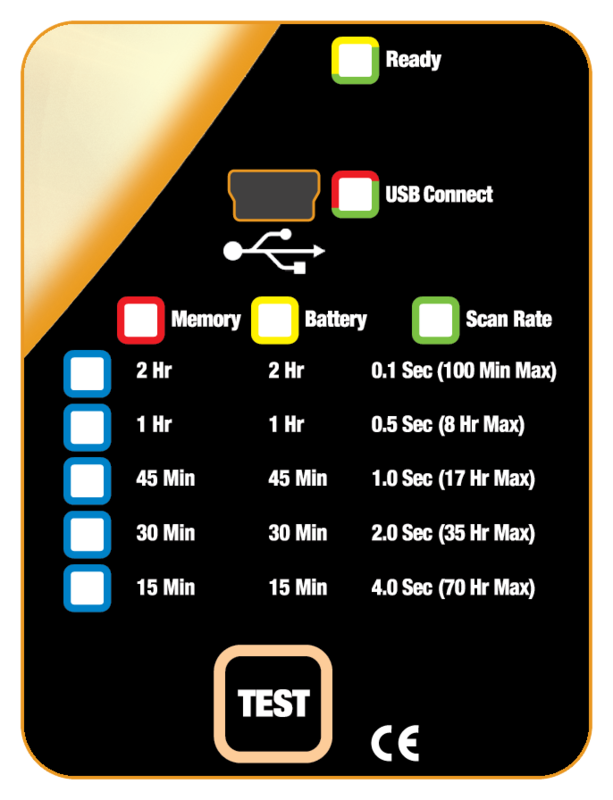 Pressing the TEST button displays the Memory and Battery capacity, cautioning the user as the minimum amount of time remaining drops below two hours. 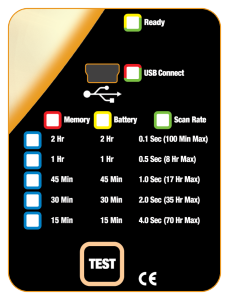 The TEST button is also used to select a Scan Rate of 0.1, 0.5, 1, 2, or 4 seconds.